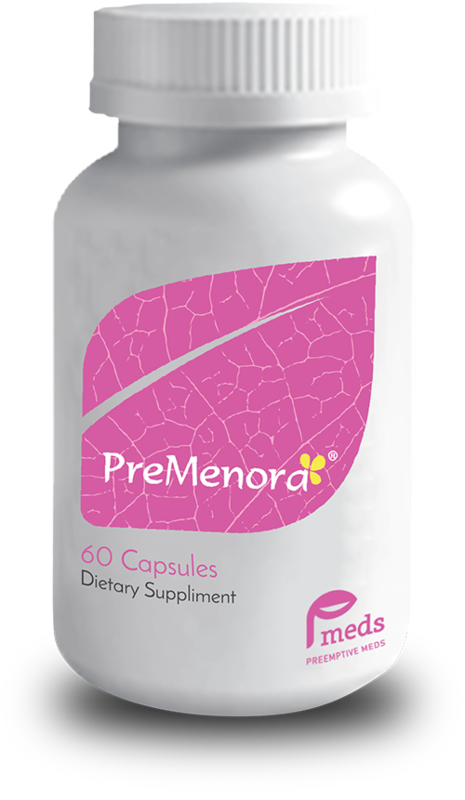 PreMenora is a physiological combination of plant bio-actives (flavonoids) from Black Cohosh sourced from North America and Europe and Red Clover from China. The active principles extracted from the roots of Black Cohosh and Red Clover minimizes hormonal imbalance during perimenopause years. St. John’s Wort (Hypericum perforatum) modulates the effects of serotonin, dopamine, and norepinephrine in the brain to relieve vaso-motor symptoms and relieve stress. Black pepper extract helps with improving bio-availability of the other ingredients. All women go through the phase of Perimenopause for five to 10 years before and after menopause occurs. Menopause officially occurs when you have not had a period for one year. Some have more symptoms and discomfort than others. It’s because in the years before and after menopause, your hormone levels are shifting and causing changes.